Regular visitors to the Sylvan Solace Preserve know that the spring thaw or a steady rain could make parking at Sylvan Solace a challenge. Even in dry weather, potholes at the beginning of the driveway were a problem. That is no longer the case. 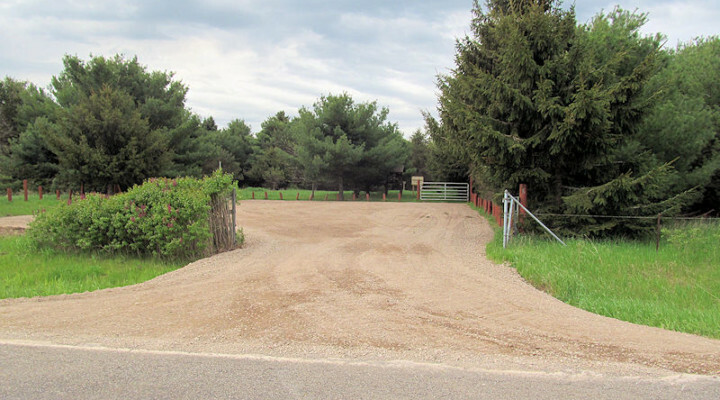 A completely reconstructed driveway and parking lot were finished on May 13. We hope this will encourage more visitors to stop in and enjoy the 1 1/2 miles of trails, see the views from the high bank above the Chippewa River, try out the QR code trail for short lectures about seven features you will encounter on the paths, and sign up for one of several free events we have planned over the summer. Sylvan Solace remains our most popular preserve and most accessible for residents of Mt. Pleasant and the surrounding area.